It is the utmost importance that the authors, editors and reviewers to uphold the ethical standards of publication for International Food Research Journal (IFRJ). 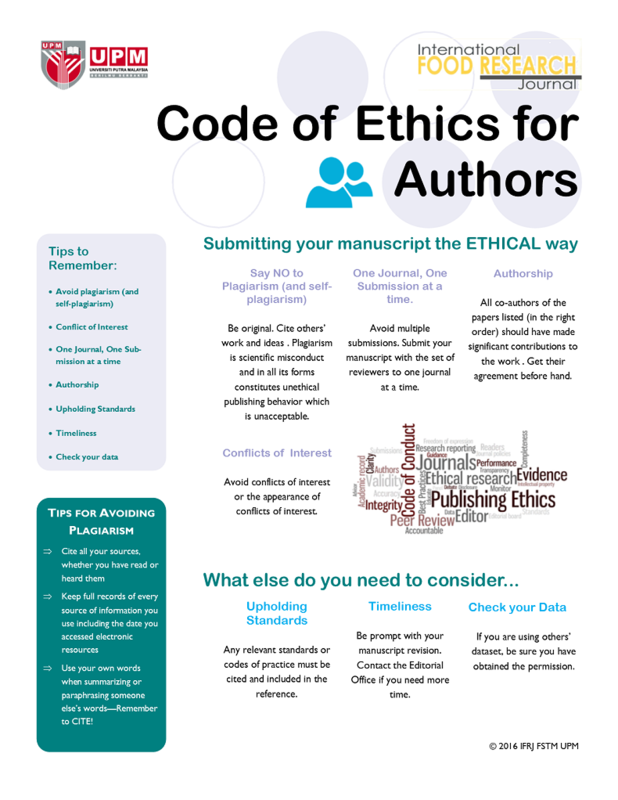 The picture is a simple guide for authors to understand what is the need of meeting ethical standards of publication. For more detailed information, kindly download our PDF file.